A350 Premium Select aisle seat selection - bulkhead, regular, or last row? Doing LAX-PVG and back in Premium Select in a couple months and the seat map is starting to fill up. Just wondering if anyone had any positive or negative feedback to help decide between a few different seat options. Specifically, 20B (bulkhead), 24B (2nd to last row), and 25B (last row). Right now I have 20B, since there'd be less interference from whoever is in 20A when they get up/out. But now I'm thinking how much less legroom there is on domestic F bulkhead sometimes and am worried about that. For reference, I'm 6'2" and 160 pounds, so legroom is definitely the priority and the marginal reduction in seat width in the bulkhead doesn't really make a difference to me. I saw another FT thread and it looks like either way would be alright, but there haven't been any new posts since August so figured I would check again. Honestly I'm leaning towards last row at this point because of legroom, a legit amount of recline, and the fact there's no one behind you grabbing your seat when they stand up and sit down. Any thoughts? Also if anyone has suggestions for things to do for 24 hours in Shanghai let me know! My kids and I flew the A350 DTW-PEK in 20 J and 21 H and J. 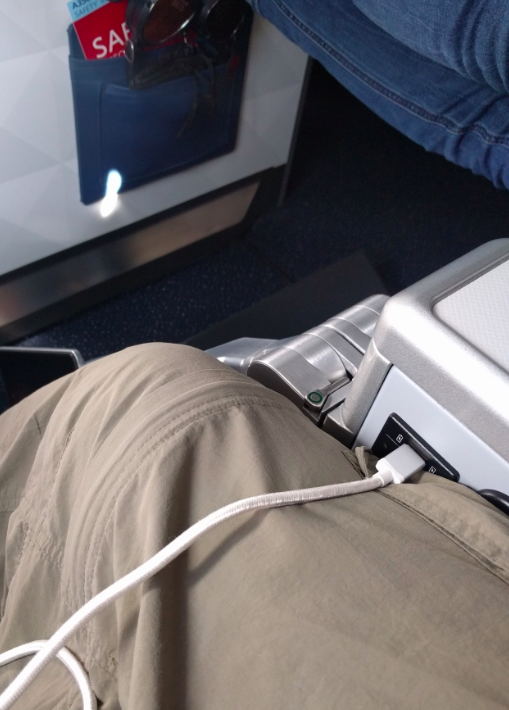 We are nowhere near your size, but my recommendation would be the bulkhead if you want more room to cross your legs and less potential interference from your seatmate getting up. But Row 20 does get a fair amount of light and activity from the lavatories and galley. Take 25B if you want more room to stretch your legs out in front of you and a quieter space around you assuming a family with 2 small children does not inhabit the middle of Row 25. There is tons of overhead space, so no worries about not putting a personal item in front of you assuming you board with your zone and not late. My biggest complaint about the PS seats was a disappointing amount of recline, but 25 appears no worse than the rest. welcome to FT and the DL board! Thanks! And wow that's really cool!! I grew up on the west coast but most all of my extended family lives within a few hours of ATL so I have plenty of fond memories with the widget, and oddly enough many on 767s specifically (first time in J, first time to Hawaii, to name a couple) so figured it was appropriate. And it's a great exhibit, too. Based on the comments about the poor recline, I am inclined to just go with the main cabin. However, the extra cost for PE isn't much (15k more in miles, or $330 more in cash, for one-way). Any insight/opinions on whether the rest of the PE product justifies the incremental cost? Is there much difference in service and F&B? (I will pre-order a vegetarian meal and don't drink much alcohol.) Thanks. Regardless of the recline, the seat is much more comfortable than your standard economy seat. I'm not sure what a vegetarian meal would be like, but the food was quite good—it's a mix of the D1 and standard economy options. I'd use the miles for sure. I would pay that 15k miles every time. The recline is still better than coach and the legroom plus footrest makes a big difference. I was comparing it to VS recline which is still nowhere near the same as a lie-flat. DL has a narrower seat and less recline than most premium economy cabins, but the food is outstanding D1 level (without the fancy dessert and alcohol menu). Also the armrest between the seats is thicker so you are not bumping elbows with your neighbor like coach. I'd rather have that thicker center armrest and sacrifice and inch of seat width. Also, no complimentary upgrades to PS, so you are not guaranteed a full cabin like most C+ cabins. Great, I'm sold, already booked PS for the two of us! For now the whole PS cabin is empty except for 20A, so I've selected seats 20HJ for the two of us. Hope the lavatories in front won't be a nuisance. BTW, are those lavatories for D1 or PS passengers? Great, I'm sold, already booked PS for the two of us! For now the whole PS cabin is empty except for 20A, so I've selected seats 20HJ for the two of us. Hope the lavatories in front won't be a nuisance. BTW, are those lavatories for D1 for PS passengers? Yes those lavs are for D1 and PS only. There is a fair amount of activity in that galley considering the 2 meals and one snack service, but if it is a daylight flight, it probably won't matter much. The air quality in that aircraft is fantastic. Sounds good, looking forward to trying the PS product and that aircraft, thanks for all the input and advice! I sat in 20A DTW-AMS, night flight. I was not bothered by the lav, but then I wasn't in the aisle seat. The leg room was adequate, but not amazing. I was very, very annoyed by the location of the USB port for charging my phone. That seems to be a bulkhead row only issue. I have fairly beefy quads, so folks with thinner legs may not even notice. I've really enjoyed PS. It's the best premium economy product I've flown by a long-shot. In fact, my husband found a great D1 suites deal with miles and still opted for PS. I don't know if I'd have gone that far, but it is very comfortable—although perhaps different opinions if you're tall or large. I'm 5'7" and my husband is 5'11", and it's just enough room for us.